Anglican Church members in Bishop Middleham, Fishburn, Sedgefield and the Trimdons have been invited to help create a vision for the future in Stockton deanery where ‘many exciting things’ are already taking place and even more are planned within the next few years. Mr Neville was preaching at Sunday’s parish service at St Catherine’s, Fishburn, when he revealed that one of the initiatives being pursued was to explore ‘new ways of doing Church’. And he appealed to those who found change hard to accept ‘not to be a stumbling block’ to those prepared to investigate new styles of worship and ways of growing the church. “We need to be better at exploring what we believe”, he said. In a review of the Deanery’s vision of the future, Rev. Paul identified four areas for action – growing in discipleship, growing churches, nurturing young people, and addressing the issue of poverty in the community. 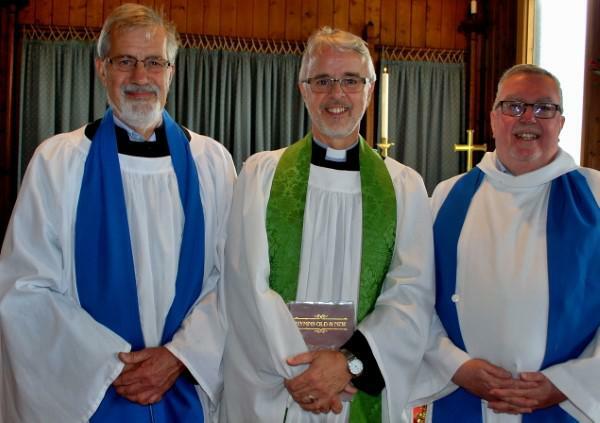 Of the current lack of any stipendiary priest in the parish of the Upper Skerne, Mr Neville told the congregation: “We are working hard to fill the post of both full-time Rector and the 0.5 post of Vicar and hope that we shall be able to do so very soon”. Assisting at the service were Readers Michael King and Bill Armstrong. Lessons were read by Ron Eyley and Alison King, Intercessions were led by Su Jordan and organist was Alex Ord. Refreshments after the service were organised by the congregation.